If you’ve come here to have a speech topic given to you, then you will be disappointed. I often have students drop by the office asking for a topic. But if I give someone a topic, then it is not their topic – it’s my topic. To help students discover topics, I begin by asking them to tell me something about him or herself. That conversation often leads to the beginnings of a good topic. But more work needs to be done. In order to make sure a topic is the best it can be, I suggest five steps to a great speech topic regardless of the situation. As always, these rules are designed to maximize the four principles of great communicators: attention, retention, connection, and reaction. 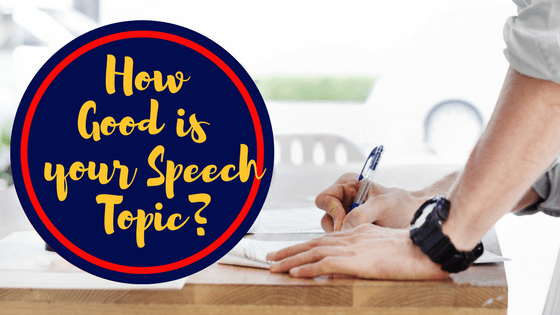 After you’ve read through these steps, I’ve included a free worksheet here that will help you hone in on a speech topic. In a perfect world, every speaker would be passionate about their topics. Audiences intuit when a speaker is passionate about his or her topic. Passion makes speakers more confident, speak with greater fluency, and more animated – all things that draw audiences attention. Passion can be faked effectively with skill and experience, but it’s much easier when it’s real. The confidence that comes from real passion is not an illusion, it is the result of the speaker being more knowledgeable about what they have to say. The reality is that most often speakers are not passionate about the topic. It takes a certain, rare, personality to be passionate about everything. I speak every day for my job, and I am passionate about my job. But that doesn’t mean I can just walk into a classroom and give a lecture on classical Greek rhetorical texts and be passionate about it. What I can do, however, is speak about things, and more importantly find angles on topics, that I genuinely feel interested. Having an interest in a topic is not always a passion, but it still translates into confidence. If you are assigned a topic in which you have no interest, try to find a way to present the topic that interests you. Be aware that others will not automatically be passionate about what you are passionate about, regardless of your delivery. You may become frustrated that others do not see the issue the way you do. Even if you have enough self-awareness to understand others will not have the same interest in a topic you do, it can be difficult to comprehend why others do not get why you are interested in something. So keep in mind that being important to you is not enough for a good topic. There are other things to consider before your topic is good. Forget about the speech being appealing to the audience. Most textbooks will tell you that the subject has to be interesting to the audience, but I’ve found that’s not always the case. I have concluded that there are no boring topics, only boring speakers. How to make the boring topic into an exciting topic is a subject itself, but you must first consider that whatever you are presenting should offer some value to the audience. The audience, for whatever reason, has chosen to give you their time and, hopefully, their attention. In return, you should try to think of a topic that will offer the audience something. When I began speaking in public, I found comfort in my control of the conversation. As I’ve matured as a speaker, however, I’ve found that that’s not good practice. A good speech topic should be a good topic of conversation – it should go both ways, it should offer something to both you and the audience. So what constitutes value? If the audience gains something from your speech, that is value. But as with most things, value exists on a sliding scale. There is value in learning something new. Entertainment has value. The point, really, of this rule is not the exchange rate of value, but remember that you are speaking to people and to consider them as well. I took my first formal public speaking class when I was a Sophomore in high school. I went to a small public high school in rural Texas. One of our first speech assignments was to give a classic “process – procedure speech.” The point of the speech was to demonstrate how to do something. Change a tire, make a cheese ball, or fold a paper airplane were all topics that day. One speech still stands out in my mind. An older student walked to the front of the class holding a paper grocery bag. He opened the bag, stuck his hand in and withdrew a large hunting knife. He put the knife on a table in front of him, reached back into the bag and pulled out a dead dove. You could hear an audible gasp when this happened. He then proceeded to demonstrate how to gut and clean a dove. Poor speech topic? At the very least it had to be a health hazard. However, that speech would be appropriate in another context, and it would have been appropriate if delivered differently in that context. That’s the purpose of this rule: make sure the topic fulfills the requirements of the occasion and that it doesn’t violate established norms for that situation. What are the expectations surrounding the situation in which you are giving your speech? Is the audience expecting a motivational speech or a purely informative presentation? I am a firm believer in challenging expectations as a way to drive attention and retention, but you should be sure you are not breaking boundaries of the situation in a way that will turn the audience against you. Let’s call this the Goldilocks rule. Your topic should not be too narrow or too broad. Too narrow and you won’t have enough to say, or worse, you will end up repeating the same thing in different ways. There is no faster way to lose your audience than this. Except, perhaps, to have a topic that is so broad that it takes a long time to get to the point or so detailed that it puts the audience to sleep. This rule is not so much about choosing a topic but beginning to think about how to develop your topic into something deliverable. A good way to make sure you are in the Goldilocks zone is to write out what you imagine your topic to be, and then make notes about what you specifically want to discuss about your topic. Sometimes I will leave a presentation and not be sure exactly of the point. When someone asks what it was about, it takes me a while to explain what the speaker said. Your audience should know, and remember, precisely the point of your speech. Before you start to write your speech, imagine telling someone about it. You should begin with a simple sentence that communicates what your speech is about and continues with no more than one or two clear sentences selling the topic. For example, “I’m giving a speech about the history of baseball. 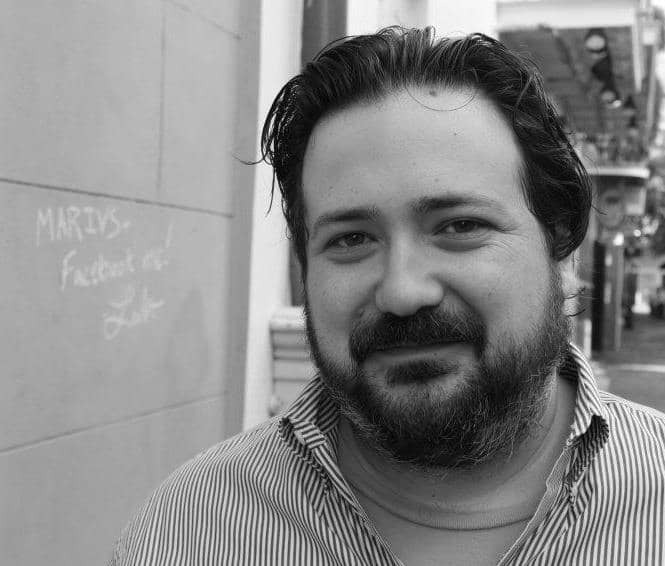 I’m going to talk about how the history of baseball parallels the history of the United States, explicitly during times of crisis.” This explanation gives the topic in a broad brush that is easy to comprehend, before clarifying the precise angle of your speech. Remember that what is clear in your mind is not always clear in the minds of others. Clarity is paramount because it will be crucial to helping your audience remember what it is you said after the speech after you’ve concluded your speech. Choosing and executing a good topic is a particular skill. With a great topic, the speech writes itself, and the delivery is smooth. When I have a bad topic, the speech never seems to come together, and I struggle with delivery. Do you have a class that I can attend? I really need help. Hi Althea, at the moment I am only teaching classes through Southern Methodist University.